Théa Pharmaceuticals Limited is an innovative ophthalmic research and development company dedicated to developing high-quality, preservative-free products that provide patients with the ophthalmic care they deserve. Our extensive product range covers numerous important areas relevant to ocular health, including prescription products for Glaucoma, Infection, Inflammation and Allergy as well as a range of cutting edge Surgical pharmaceuticals. We also have preservative-free treatments for Dry Eye, Eyelid Hygiene and Meibomian Gland Disease along with a range of Eye Nutritionals to help protect vision. Théa Pharmaceuticals has three strategic pillars, which are reflected in our company ethos – “Driving Innovation, Education and Professionalism in improving Eye Health”. As the leading independent company dedicated to ophthalmology in Europe, Théa is committed to supporting Ophthalmic professionals and to meeting the everyday needs of the ophthalmologist. Altacor is a UK based ophthalmic specialty pharmaceutical company with growing portfolio of ophthalmic products. Altacor markets numerous products in the UK and Ireland (Clinitas®, Clinitas® OTC range, Clinitas® Hot Eye Compress and BioLon®) which are commercialised through its own sales and marketing organisation and network. These products are sold primarily through the healthcare system, including hospitals, GPs, pharmacies and opticians. Clinitas®, Clinitas® Multi and Clinitas GEL are prescription products, including preservative free options. Clinitas products can be used for moderate dry eye conditions and have the highest concentration of hyaluronic acid (0.4%) in the UK. These products are also available to buy over the counter. Over the last forty years Altomed has developed an excellent array of surgical instruments and disposables for ophthalmic surgery. Being a fiercely independent company, and being a company which has been owner-managed by the same individuals for the entire period of its existence, our product knowledge and willingness to serve you, the customer is largely unmatched. As well as a relevant and competitively priced instrument range, Altomed are official UK dealers for a number of world famous ophthalmic brands. Established in 1787, John Weiss & Son is the leading manufacturer and distributor of gold-standard ophthalmic micro-surgical instruments and procedures. Its own manufactured instrument portfolio includes a comprehensive range of reusable surgical equipment, including; forceps, needle holders, scissors, choppers & manipulators, hooks, vectis and specula. In addition, John Weiss also supplies specialist equipment such as; punches, chisels and Lester Jones tubes, designed specifically for extraocular surgery, and a unique range of equipment for veterinary surgical procedures. It also has a large range of single-use instruments and packs. John Weiss is an authorised UK distributor for; FEATHER ophthalmic scalpels, blades and holders, Keraring corneal ring segments and MedOne vitreoretinal cannulae, and is the sole UK distributor for the Ellex canaloplasty microcatheter. It is also the sole UK distributor for the range of microscopes, imaging systems and accessories manufactured by sister company, Haag-Streit Surgical. KARL STORZ has established itself worldwide as an international and highly regarded company offering a comprehensive product range encompassing all surgical endoscopic disciplines. Since its' foundation in 1945, the family-owned KARL STORZ company has grown into a global manufacturer, distributor and service provider. The portfolio of endoscopic instruments and devices for human medicine, veterinary medicine, and industrial endoscopy now includes more than 15,000 products. KARL STORZ has a strong reputation for exceptional imaging products including the latest 3D and imaging technology which can be integrated into the OR1TM Operating Theatre to give an unparalleled theatre experience. KARL STORZ also offer customer-defined support packages, including the provision of dedicated On-Site Technicians who work within hospitals to ensure that all surgical equipment is working first time, every time, allowing clinical staff to focus on the wellbeing of their patients. Kestrel was acquired by Cutting Edge a French IOL manufacturing company in 2017 and can now offer a range of Hydrophilic, Hydrophobic monofocal and premium lenses such as EDOF and Toric. Added to the product portfolio is a range of single use and reusable instruments, OVD's and surgical accessories such as Trypan Blue. Other devices such as a comprehensive range of permanent and temporary punctum plugs are also available. A range of Dry Eye drops are expected to be launched in early 2019. Vision is one of our most important senses. It has always been vital, and is even more so in today's, "visual information age." Even mobile phones, formerly the quintessential auditory devices, have become more visual tools. Loss of vision is the number one fear when it comes to age-related health matters. Even moderate visual problems can significantly reduce a person’s productivity, mobility and independence. As a specialised pharmaceutical company engaged in the ophthalmic field, Santen has established key position in Japan's prescription ophthalmic pharmaceutical market and has now expanded into the global market. Santen has been present in Europe for nearly 20 years and is continuing to strengthen its position in the European area, enabling more patients and health care professionals to have access to our innovative treatments. We have the ambition to become a European leader in ophthalmology. Scope is a family-run company for three generations with a heritage of bringing evidence-based, premium products to healthcare professionals and end-consumers alike. 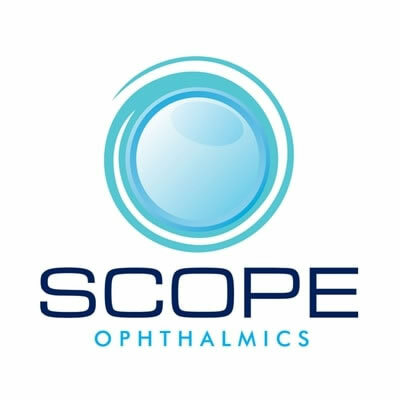 Scope offers innovative diagnostic & management products for ocular surface diseases such as Dry Eye Disease, Meibomian Glad Dysfunction and Blepharitis. Operating in both the United Kingdom and Ireland, Scope has a well-established portfolio which includes; The Hycosan range including the new Hycosan Night, Optase Moist Heat Mask, Optase TTO Lid Wipes, Omega Eye, Blephex, TearLab. We are Surgitrac® Instruments, a manufacturer of single-use and reusable, specialist ophthalmic surgical instruments and packs, made from medical grade stainless steel or titanium. We export our products, using a global network of authorised distributors. Surgitrac supplies the UK market, with a range of ophthalmic products from other manufacturers, as well as our own products. Veni Vidi is pleased to continue representing FCI here in the UK. As well as a number of industry standard products, new ones are launched regularly to improve the quality of care offered by ocular plastic surgeons to their patients. Please visit us at BOPSS to see the new Lacrijet, a preloaded and self retaining monocanalicular, nasolacrimal intubation device for both canalicular laceration and stenosis.